It's set to start on July 27. 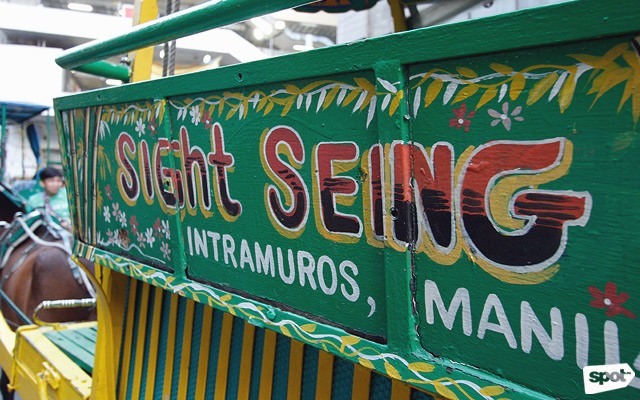 (SPOT.ph) Through the years, walking tours have become an alternative and eco-friendly way of exploring the streets of Manila. It’s also the best way to see the city sans the hellish traffic. Whether you’re a foreigner visiting the Philippines for the first time or a local looking to rediscover the city, tours on foot have changed the tourism game. The latest player is the Light Rail Transit, also known as the good ol' LRT. 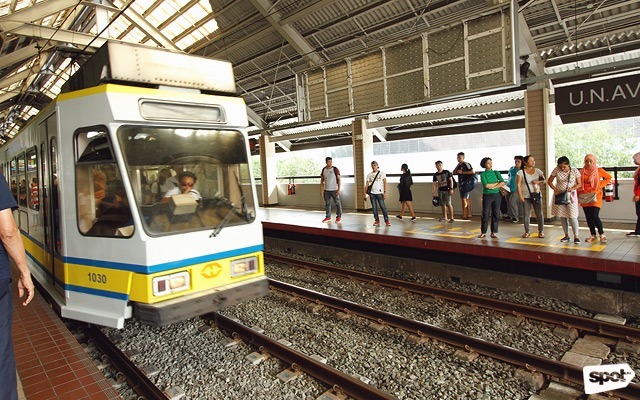 LRT-1 dabbles in promoting Philippine tourism. 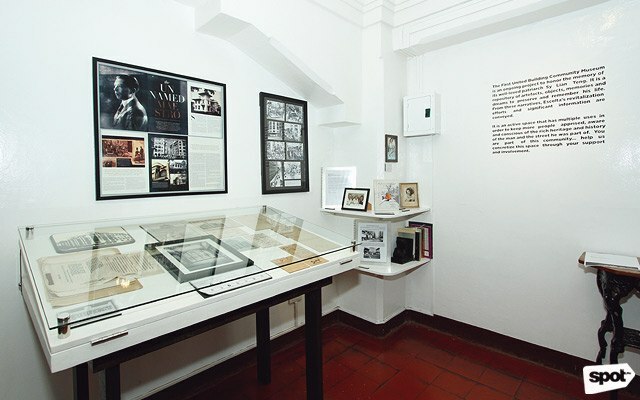 The project tapped popular tour operators such as Carlos Celdran’s Walk This Way, Ivan Man Dy’s Old Manila Walks, Tralulu Travels, and Kapitbahayan to help create unique tour packages. 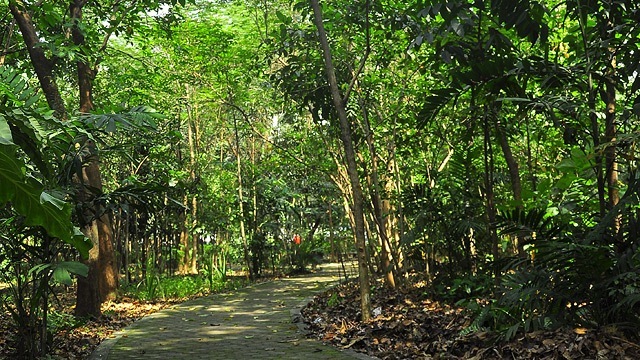 They highlight tourist spots that are within walking distance from LRT-1’s 20 stations. Each booked tour will be under the care of an accredited guide from the aforementioned tour operators. As ikotMNL develops, up-and-coming tour operators and individual local guides will also be accredited. SPOT.ph went for a test run. On July 2, SPOT.ph was invited to do a test run of ikotMNL. While there were a few contingency issues that needed to be ironed out, we are hopeful that things will be smooth-sailing when it launches at the end of the month. Ivan Man Dy (in blue) took us around Old Manila. 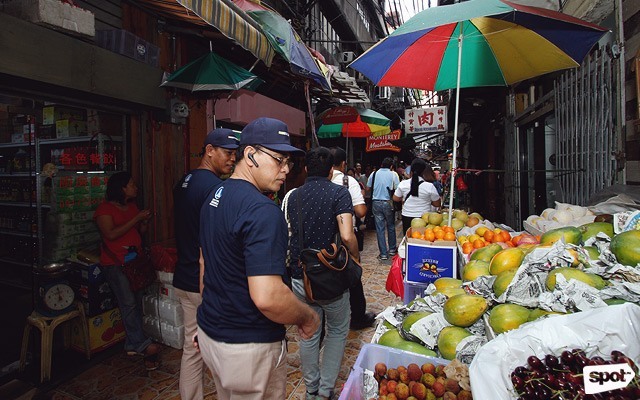 Our customized day tour focused on Old Manila, and we were led by Old Manila Walks founder Ivan Man Dy, Tralulu CEO Andrew Cua, and Tourism Secretary Bernadette Romulo-Puyat. For those who are familiar with Man Dy’s and Celdran’s walking tours, ikotMNL is an upgraded version that utilizes LRT-1’s stations. It may remind you of those hop-on, hop-off bus tours in Europe and the U.S., except that this one uses Manila’s rail system. 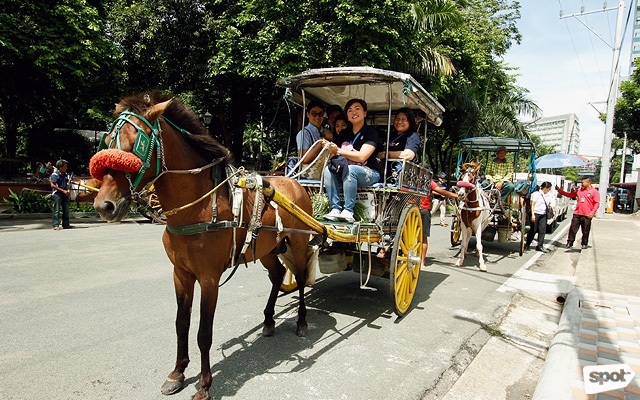 The kalesa was a common mode of transportation during the Spanish period. The National Museum of Natural History was one of the pit stops. 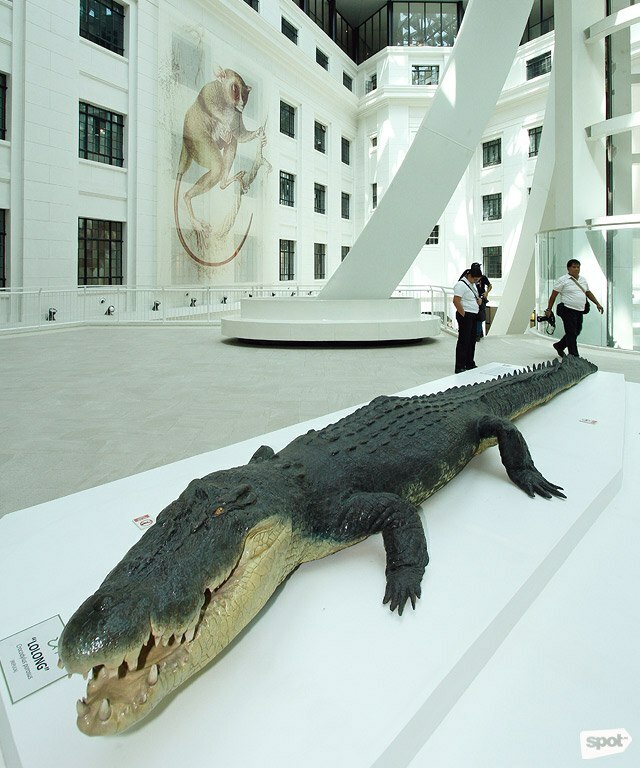 The replica of Lolong welcomes visitors to the museum's main entrance. 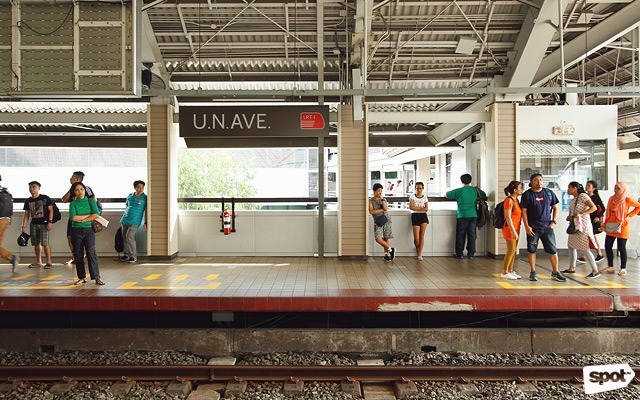 The tour started at LRT-1’s Gil Puyat Station. 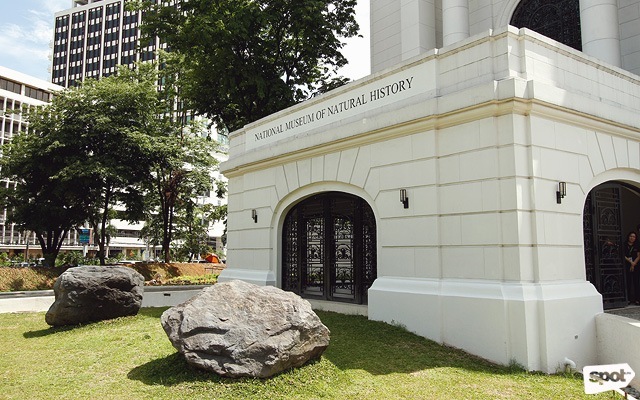 Upon exit at the UN Avenue station, a kalesa ride took us to the newly renovated National Museum of Natural History. We hopped on the Carriedo Station, got on another kalesa ride, and walked to Binondo Church. The Binondo Food Wok is a great way to have a taste of Manila—literally. 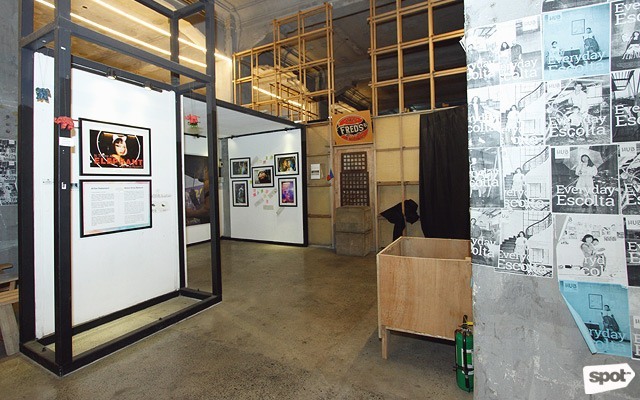 HUB: Make Lab is a hotspot for Manila startups. The First United Community Museum is a 1930s throwback to the glory days of Bergy Department Store, the original resident of the five-storey building. 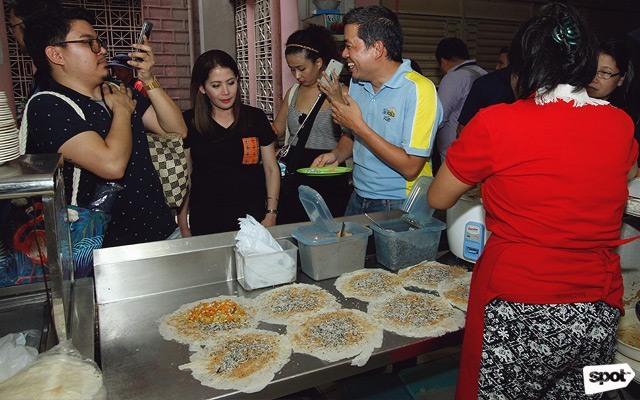 An abridged version of Man Dy’s famous Binondo Food Wok took us to New Po Heng Lumpia House, QuikSnak, and Ho-Land Hopia Bakery. We walked off all the food we devoured as we headed to HUB: Make Lab and the First United Building Community Museum along Escolta Street. Throughout the trip, Tralulu guides made sure we were filled in with the history and backstory of each location we passed. By late afternoon, we took one last kalesa ride from First United Building and back to LRT-1’s Carriedo Station. We arrived at Vito Cruz Station and walked to our final stop, Orchid Garden Suites at Ocampo Street for dinner. Chinatown never runs out of produce sold at an affordable price. Light Rail Manila Corporation also encourages budget travelers to create their own travel itineraries. For those going DIY, the LRT offers a P99 day pass that gives ticket-holders unlimited rides on the LRT-1 rail for six to 10 hours. They are also working on an ikotMNL mobile app that will guide both foreigners and locals on the cultural, architectural, and gastronomic experiences around Manila. ikotMNL starts operations on July 27, 2018. Visit Tralulu and ikotMNL for details.